TOKARA Wine and Olive Estate is situated in a magnificent setting near the historic town of Stellenbosch in the heart of South Africa’s Western Cape wine region. Framed by vineyards and olive groves, TOKARA is a highly regarded tourist destination that offers visitors elegant, award winning wines, two beautiful restaurants, an art gallery and sculpture garden as well as some of the best South African Extra Virgin olive oil. The winery is perched on top of the Helshoogte Pass with panoramic views of False Bay and Table Mountain and is portrayed against a backdrop of the majestic Simonsberg. TOKARA produces incredible red wines based on Cabernet Sauvignon, one of the cornerstone varieties of the estate and one that has been part of TOKARA since the first harvest in 2000. 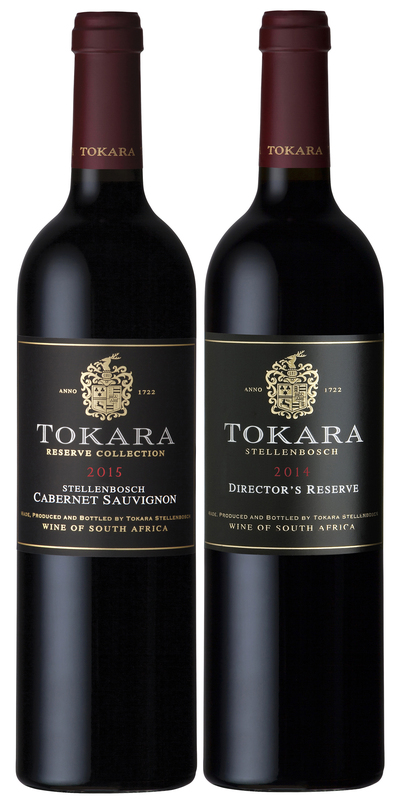 The TOKARA Director’s Reserve Red and TOKARA Reserve Cabernet Sauvignon are a true reflection of everything the estate stands for: refinement, elegance and balance. The other focus variety is Sauvignon blanc. The winemaker meticulously selects a single vineyard block to create the Director’s White, a classic Bordeaux blend with Semillon, and the Reserve Sauvignon Blanc from the TOKARA property in Elgin. This particular property was chosen purely on site as some of the best cool climate Sauvignon blanc wines, in perfect balance with fresh acidity and purity of fruit, originate from this area. TOKARA Reserve Chardonnay also contributes to South Africa’s formidable reputation for these sought-after wines. And finally, the TOKARA Reserve Syrah from a single vineyard on the estate completes the offering. Wines from TOKARA’s four signature grape varieties are available in two ranges. The more accessible and lifestyle focussed estate range is essentially fruit driven, while the more complex Reserve range comprises terroir specific, single vineyard wines in limited volumes. TOKARA’s vision of producing some of the best wines in the world necessitates an exact focus with no room for compromise and the dedicated team always strives towards this goal. Being included in the 2018 list of the Most Admired Wine Brands in the World by Drinks International echoes this commitment.